Disparage the messager as much as want – he’s right. And it part and parcel of why Twitter and Facebook are in trouble. Trump and twitter. His way bypassing the MSM and getting his message to his supporters and his opponents. 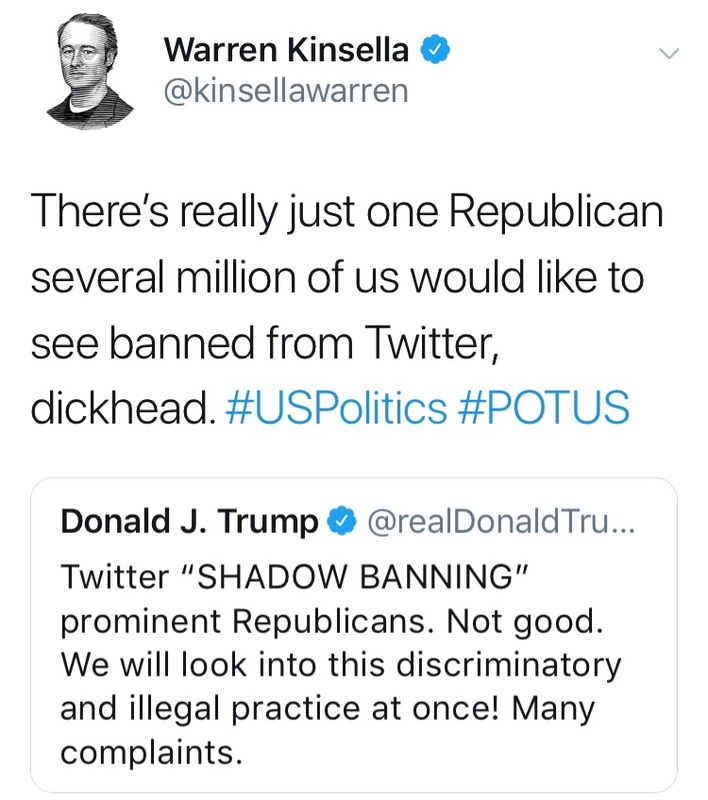 Ban him and watch their bottom line crumble! Sure, great idea. Ban the sitting President of the United States from Twitter and he’ll disappear. Look Ma, no hands. Geez, we’re almost at the halfway point of his term and the left is still dreaming of a quick fix to get rid of him. Recounts, impeachment, removal for mental disorder, etc. and now we’re going to silence him. Everything but beat him in an election. Hey, has anybody thought of a coup yet? I can just imagine how my life would be as ruler of the free world, with my wife. “Why haven’t you cleaned up Syria yet? I told you to do that at least 2 weeks ago.” And then we’d move on to ‘domestic’ issues . . .